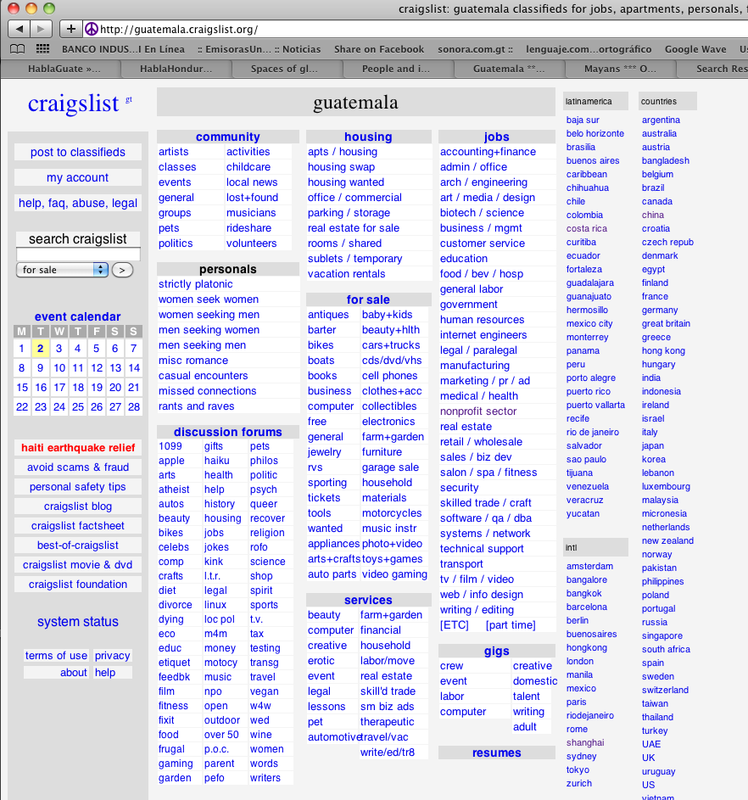 Like a new pair of shoes I walked out of the store with (yes after having paid), I didn’t even wait ten minutes after stumbling upon Craigslist Guatemala to put up my first post in both the Writing and Community sections. I knew these sections well and felt right at home, but I did wonder why the hub for CL Guate wasn’t listed under the countries section? I found it on CL’s main page and it looks like the first entry I can find goes back to Oct. 2009. Interesting, I will exploring this, but suffice it to say that we do have a CL here and it’s like we’re on the community map that connects us all on CL. Posted on Wednesday, February 3rd, 2010 at 12:29 pm. Filed under: Blog, Team Guate	RSS 2.0 feed.